NBSE HSLC, HSSLC Result 2017: NBSE High School Leaving Certificate (HSLC) examination and Higher Secondary School Leaving Certificate (HSSLC) examination Results 2017 are scheduled on 8th May 2017. The Nagaland Board of School Education (NBSE), Kohima said that the provisional results of the HSLC and HSSLC Examinations 2017 conducted by the NBSE will be declared in the afternoon of 8th May 2017. The HSLC and HSSLC results will be published on the official website of the NBSE. Students can get their results from these websites after the official announcement of results. 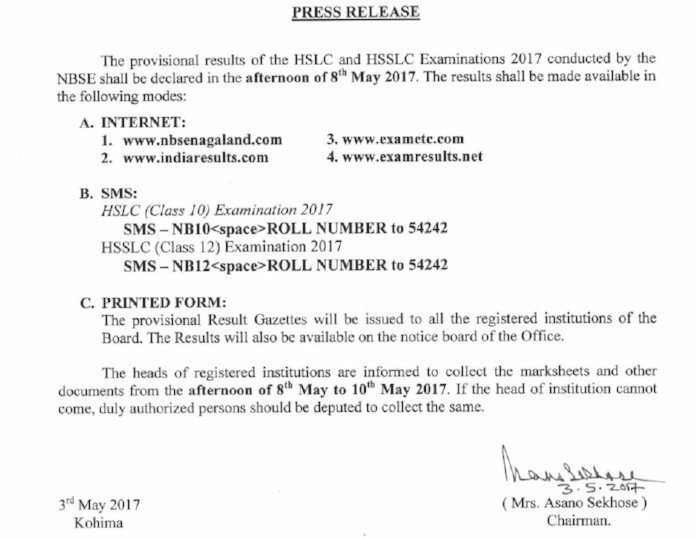 According to the Press release of NBSE Today, "The provisional results of the HSLC and HSSLC Examinations 2017 conducted by the NBSE shall be declared in the afternoon of 8th May 2017". Enter important details such as roll number, semester name, etc. NBSE has made arrangement for releasing in the results in three modes so that students can access their results very easly. The students will have to login to these websites to the results, using their roll number. The provisional Result Gazettes will be issued to all the registered institutions of the Board. The Results will also be available on the notice board of the Office after the official declaration. To get the results on the notice board there may be a delay due to the printing and putting on the notice board. But students can get their results from the official institutions. The Nagaland Board has conducted the Higher School Leaving Certificate (HSLC) examinations from 15th to 27th February 2017 in many examination centres across the state. This year 22,446 students appeared for the examination. In 2017 also the board has conducted the HSLC examinations for 22,970 students in Nagaland state. 6,220 students from government schools, 16,188 from private schools and 562 repeater students attended HSLC 2016. The HSLC results 2016 pass percentage was 65.42%. 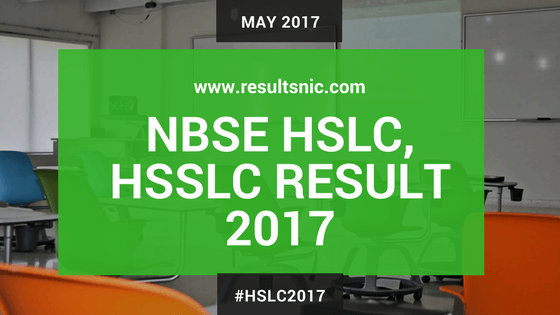 The board has announced the NBSE HSLC results in 2016 on 3rd May. The NBSE is striving had to increase the student rate and result rate in the state of Nagaland. This year also the Nagaland Board is anticipating the good pass rate in the state.